The ex-Halcyon Days now belongs to a Midwestern couple who have had a few yachts over the years. They purchased this one after parting ways with Burger Boat Company over Hull #503, a 153-footer they had commissioned. 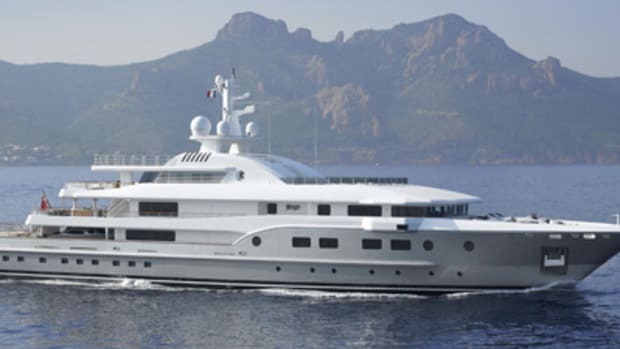 This nearly 171-footer is available for charter, for $140,000 to $150,000 per week, and can accommodate 15 people among the owner’s and guests’ staterooms (the latter of which includes a triple cabin ideal for kids).